Within Sterling Park are remnants of a narrow, grass-covered roadway important to Loudoun and American history, but for many years largely forgotten. This road, bearing the prosaic designation of state Route 604, is the venerable Vestal’s Gap Road. 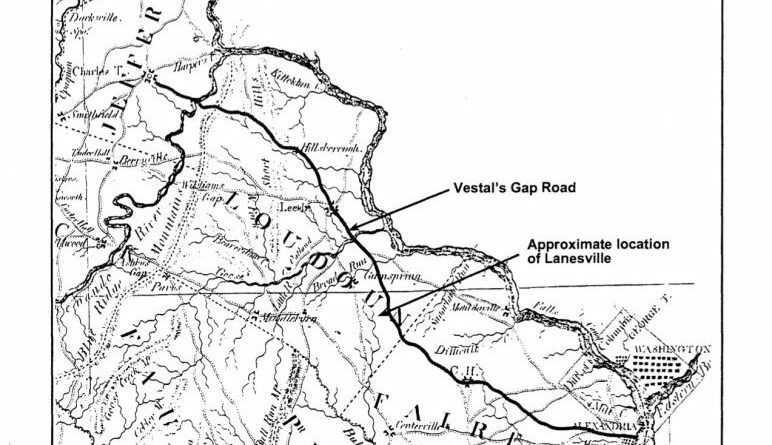 Archaeologists believe Vestal’s Gap Road originated as a series of hunting paths used by Algonkian-speaking native tribes, before the first English settlers arrived in the area. In the late 17thcentury, when the first explorers came to what would become Loudoun County, they found portions of these native paths along a natural ridge running parallel to the Potomac River. Before long, this westward route proved the most convenient to early colonial settlers. By the late 1720s, the trail had been travelled enough to become a road. It eventually led to a gap in the Blue Ridge mountains, where an enterprising businessman named John Vestal operated a ferry crossing the Shenandoah River. A young George Washington used the road to travel to Winchester and points west, where he surveyed the Fairfax propriety for Lord Fairfax. Washington and Daniel Boone also were among Major General Edward Braddock’s troops who used the road to march west to Fort Duquesne (now Pittsburgh) during the French and Indian Wars. During the War of 1812, according to some historians, Vestal’s Gap Road even played a vital role in the survival of the United States Constitution and Declaration of Independence, which were spirited away to Leesburg for safekeeping, via the road. In its heyday in the 18thand early 19thcenturies, Vestal’s Gap Road ran in a northwesterly direction from Alexandria to Vestal’s Gap, now known as Keyes Gap, a distance of some 65 miles. Completion of the Leesburg Turnpike in the 1830s was largely responsible for the eventual decline of Vestal’s Gap Road. The turnpike was hard-surfaced using the macadam process, new technology involving laying down several layers of compacted gravel to form the roadbed; not surprisingly, it soon carried the majority of westward traffic. While Vestal’s Gap Road continued to carry some local traffic well into the 19thcentury, and was a route used by troops marching to battle during the Civil War, it was inevitably relegated to use by local farmers. By the 1950s, state maintenance ended, and it was ignored and forgotten—except decades later by diligent preservationists. In 2000, a single 3/5-mile stretch of Vestal’s Gap Road was listed on the National Register of Historic Places. That sole preserved portion crosses Claude Moore Park property in Sterling. Other than that section, the remaining unprotected vestiges of the road were erased over the years by construction of housing subdivisions and shopping centers, including Dulles Town Center. Those developments, fortunately, did not completely eradicate this resilient old road. Embedded within Sterling Park is a remarkable trace of Vestal’s Gap Road running behind houses on east and west Juniper avenues. In many places, the tree line of red cedars and black locusts is still visible, along with the old roadbed. Imagine these remnants of one of the most historic roads in Northern Virginia being repurposed into walking paths and mini-parks protected from development by assignment of historic status, and ensuing preservation measures. Educational signage, comfortable benches and attractive plantings along the border would transform these areas into wonderful places for joggers, bicyclists and history buffs, among others. Because the roadbed is privately held, realization of such repurposing initially depends on landowners’ awareness of the significance of the road running, quite literally, through their backyards. The Sterling Foundation hopes the Vestal’s Gap Road property owners, inspired by their possession of historical treasure, will be motivated, individually or collectively, to preserve it. Preservation is important for people to learn about, and honor, our predecessors who trod that very ground: The native people who first forged the path, and all those who toiled and fought so hard to build our emerging nation. Although few might be able to sleep at Mount Vernon or Gadsby’s Tavern, all may walk this path that Washington travelled. With additional historic designation, and preservation steps, what remains of Vestal’s Gap Road would also serve in “you-are-here” fashion to educate Loudouners and visitors about local and national history, especially concerning military movements, transportation and westward migration. But fully achieving this result will require action from citizens, not just property owners. There are research issues that can be addressed by analysis of artifacts which archaeological digs bring to light. 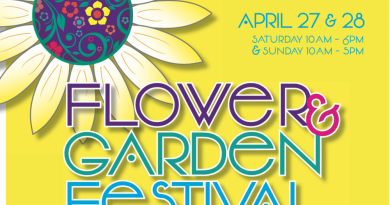 There also is an opportunity here for participation by archaeology student volunteers from Loudoun high schools and colleges. With this kind of community involvement, people might not only learn about one of northern Virginia’s oldest roads, they might actually walk more than just a small fragment of it. Are there any hunting areas in this group of properties? No, this is in the middle of a neighborhood in Sterling. In the mid-1990s, I periodically drove my Ford F-150 down Maries Road (formally Vestal’s Gap) past the Williams greenhouses about one and a half miles west where it dead ended in a turn-around near Highway 28. The gravel road ran past many abandoned farm houses with ‘keep out’ signs on the driveway entrances. The road was littered with trash, car tires and kitchen appliances, etc. Most of the unprotected vestiges of the road were erased over the years by construction of the Dulles Town Center. You can find this Maries Road remnant just west of Cascades Parkway between Woodland Road and Nokes Boulevard. Maries Road now empties into a parking lot next to the Big Screen Store in the Dulles Town Center. I strongly urge anyone who is interested in Sterling’s fading past to take a drive on Maries Road from either the Town Center parking lot or from Cascades Parkway as it may be your last chance to drive on this resilient old road where the first English settlers walked or rode horses on their way to the Blue Ridge mountains. When I was a teenager growing up in Falls Church, there were still remnants of old cabins along the roadway in Fairfax County. Now, I live in Sterling Park, in the NE quadrant, just a few blocks from the old roadbed. Bits of Vestals Gap road are visible on Google maps as a strip of green, running west from Rt 228 (Dranesville Rd), between townhouse developments, skirting community pools, and flanking suburban lots. On the ground, the old juniper fence line is still noticeable in a neighborhood which grew up out of pasture. Vestals Gap runs parallel to Juniper Street, continues across the Claude Moore property, then crosses Cascades Parkway. It becomes Maries Road and reappears again as a tiny park surrounded by a morass of parking lots near Dulles Town Center. Only a year or so ago, two sparring bald eagles landed near the road, a reminder that an older world still exists around us. Nokes Boulevard runs right through Dulles Town Center from Route 28 to Cascades, where the heart of Nokesville was located. The area known locally as Nokes or Nokesville derived its name from George Washington Nokes who leased land in the area after the Civil War. In 1901, Nokes purchased five acres on the south side of Thayer Road. The Nokes property at Thayer Road in Sterling was a modest farmstead owned and operated by an African-American family who first acquired it in 1913. The house appears to be a circa 1880 traditional I-frame house. The remaining 10-acre property (behind McDonald’s) includes several outbuildings (chicken houses, barn, spring-house) that supported the ongoing agricultural activities.